Food is a source of life; it is also a source of comfort. It helps heal the grieving, serves as a welcome relief for a proud (and weary) new mom and dad, and is often a reward for academic achievements. Remember the last time your grandparents, aunts, uncles and cousins were all together for Thanksgiving? Those family dinners can be the centerpiece of many lifetime memories. Syndicated daytime host Rachael Ray is no stranger to the feeling of warmth and fellowship a good meal can bring to a group of family or friends. After all, she grew up in food. Her heritage of can-do cuisine combined with her bubbly personality led her to the outrageously successful career she enjoys today. From the Food Network shows “30-Minute Meals” and “$40 a Day” to cookbooks, her own lifestyle magazine and television syndication as the host of “Rachael Ray,” an hour-long daily talk show, Ray’s time is consumed by her passions. 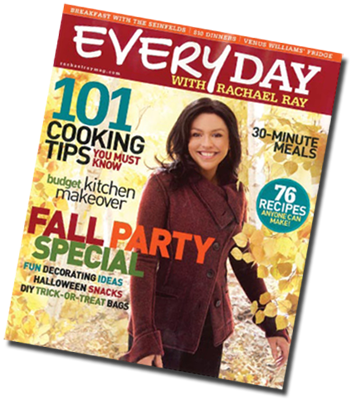 Rachael Ray shares in-depth cooking tips in her monthly magazine. The notion of quick and easy meals may seem simplistic, but Rachael Ray’s way of life can revolutionize the lives of caregivers. After pouring so much into caring for someone else all day, everyone wants to sit down and enjoy a good meal. The sad truth is that many find themselves settling for fast food or the ever-faithful peanut butter and jelly. Whether your evening plans include homework with your children, a home improvement project or some well-earned time for yourself, you can still have time for those pressing endeavors as well as a home-cooked meal. Stock your pantry with the basics. Put everything away clean. When you unpack your fresh foods from the grocery store, wash and trim your produce so your ingredients are always ready and waiting for you to cook. Lay out all your ingredients first. Having everything ready and within arm’s reach is a time saver. Work near your stove. Place the cutting board as close as you can to the stove top so you can chop then drop food directly into pots and pans. Use a garbage bowl instead of running back and forth to the trash can. Using chicken stock instead of water makes quick meals taste slow-cooked and adds layers of flavors to the dish. Use leftovers to create a “new” meal. Don’t buy too many gadgets; cluttering up your drawers and cupboards with a lot of equipment will make cooking feel too much like work. Keep your fridge and cupboards clean; give them a good once-over monthly so you’ll be familiar with what you have. Cooking the Rachael Ray way means not having to spend a lot of time in the kitchen—a plus for busy caregivers. The kitchen does tend to be a gathering spot—a place that cooks up not only heavenly smells, but also deep discussions and fulfilling family time. Sitting around the kitchen table may also trigger memories of a day when Mom was the one preparing food; her recollection of these special moments is something you can enjoy reliving with her. As an Alzheimer’s caregiver, you may not be recognized by Time magazine as one of the top 100 most influential people of the year (as Rachael Ray). In fact, being a caregiver is one of the most demanding and overlooked jobs you can hold. Incorporate Rachael Ray’s way of showing she cares—inject some fun into your usually mundane chores and spice up your kitchen time to create a more rewarding experience! Studies have shown that the Omega-3 fatty acids found in a variety of fish may protect against memory loss. In fact, eating fish at least once a week may slow memory loss in seniors. Check out Rachael Ray’s simple, “yum-o” fish dishes. These recipes will allow you to prepare healthful fish dishes quickly and easily. Preheat the oven to 425° or a grill to medium-high. Season the fish with salt and pepper and drizzle with 2 tablespoons EVOO to coat. 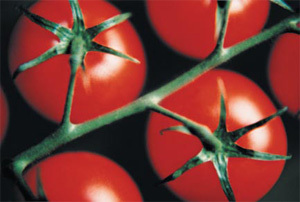 In a bowl, combine the tomatoes, shallots, and tarragon; season to taste with salt and pepper. Toss with the remaining 2 tablespoons EVOO. Cover a baking sheet with foil. Arrange 4 piles, each with 2 lemon slices, 1 fish fillet, and a quarter of the tomato-shallot mixture. Cover with another sheet of foil and pinch together on all four sides to seal the packet. Roast the fish in the oven or closed grill until opaque, 15 to 18 minutes. Open the foil packet and, using a large spatula, transfer the fish to plates. Pour the cooking juices over the fish. Pass the bread at the table for mopping. In a small bowl, mix the wasabi with the tamari and the oil; add the scallions and tuna and mash with a fork to combine. Heat a large skillet over high heat and blister the tortilla for about 30 seconds on each side to soften and toast. Transfer the tortilla to the counter top and let cool for about 1 minute. Top the tortilla with an even layer of the spinach and then the tuna salad. Fold 2 sides of the tortilla over the tuna and tightly roll up the tortilla to enclose the salad. Cut into 1-inch-thick slices to make the pinwheels. For more information about Rachael Ray, as well as fast, delicious recipes, visit rachaelray.com. Source: www.ALZinfo.org. 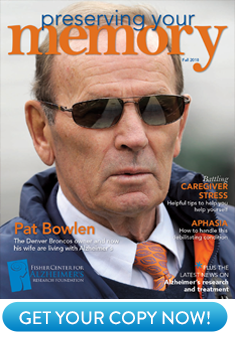 Author: Tracy A. Mozingo, Preserving Your Memory: The Magazine of Health and Hope; Fall 2007.